Today’s post is about muscle imbalances and the best way to avoid them. While the possibility of an imbalance exists in many places, I am going to focus on the back. Possibly the most common example of a muscle imbalance occurs when a lifter regularly works out their chest but does not give as much attention to their back. The chest is another example of what I call a ‘mirror muscle’, while the back doesn’t get the respect it deserves. In fact, based on my own experience from about five years ago, I believe this is relevant to the nerve impingement that Jim has mentioned. 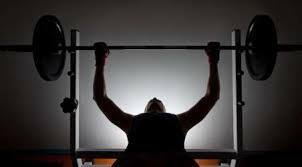 An extremely typical question that many people ask is, “How much do you bench?” But how many times have you heard someone ask, “How much can you row?” The result of high volume chest workouts without correspondingly intense back exercise, is poor posture with the slumping forward of the shoulders. If this is a problem, the solution is simply to get in more back work relative to chest work. Not only will this help cure any imbalances, it will have the added benefit of greater overall strength. In fact, strengthening your upper back will have the added bonus of increasing your pressing potential, as your foundation when laying on the bench will be sturdier. I have a friend who would say, “You should have stronger lats than me, you can bench more.” Just like you don’t want a house built on a soft foundation, you don’t want to bench with a weak, loose back. This is another reason why you should keep a journal and record the number of sets, reps, and weight lifted. If you do so, you can keep track of the total volume of your work done pushing so you can compare it to your pulling work. Odds are you can press more weight than you can row. If this is the case, make sure the total number of reps performed pulling outnumbers the total number of reps pushing. Some trainers encourage doing as much as twice the volume of back work than what you perform working on your chest. I personally agree that if you had to choose between more back work and more chest work, I would choose back work, as it plays a more important role in everyday life. Useful upper back exercises include, pull-ups and chin-ups, face pulls, any row variation, any pull-down variation, and also the deadlift. Note that I am not going into lower back exercises here as that should also be stressed, but that is another story. The deadlift may not be as obvious, because there is minimal arm movement, but it is the best way to work your upper back through the use of a heavy isometric contraction. Your best bet in addition to deadlifting, is to work your back in both the vertical and horizontal planes. One or two exercises should suffice, and it is easy to rotate exercises to keep back workouts from getting monotonous. My personal favorite is the dumbbell row. As a side note, if you use a fat grip handle during any pulling movement, you will also get the added benefit of a stronger grip. Many people work out their chest and their back on separate days. I personally think this is a bad idea for the following reason. Many trainees get excited about training their bench press, but not so much when it comes to back work. If you follow a routine when chest and back are trained on different days, there is a higher probability that you will miss the back day than the chest day. This can lead to a relatively weak back. On my upper body days I both push and pull while deadlifts get a separate day once every one or two weeks. I typically will perform two pushing exercises and two to three pulling exercises. Face pulls are performed with a relatively low amount of weight and thus are not taxing on the central nervous system, so they are included every time. The other two choices are up to my mood. P.S. This song is better than anything else released in the last decade or so. When you are working hard and you can feel yourself getting stronger but the body fat just isn’t coming off, there are a couple of things that are going on. First of all you are trading muscle for fat. You do not usually trade them pound for pound though. Man I would be a beast if I could have done that. Now there are many thoughts as to how fast you can put muscle on. This depends on many factors. Your age, intensity of your workouts, and of course your hormone levels. Everyone is different. When you first start working out you may find the muscle size and your strength increase quickly. As you get more lean and stronger you will hit plateaus. This means it is time, to change things up. Confuse the muscle and I am sure you have heard all about muscle confusion from all the infomercials out there. Since most of you that come here are mainly looking to lose body fat and get fit, one of the main pieces of exercise equipment you will need is a measuring tape. This will make it easy to see the changes in your body and help you stay motivated through those plateaus. Secondly, in terms of losing the fat. Your body will go through set points where it feels “OK this is where I want my fat percent to stay and I do not want to let it go.” Again you will need to tweak you diet here to get things rolling again. Hopefully you have been tracking your meals in one of the free online meal trackers I have mentioned before. If you are exercising regularly the first place to look may be your calories. Are you getting enough to fuel the body while not starving it? It is funny, when I was first started losing the fat I had put on I didn’t pay much attention to the amount of food I ate. I ate when I was hungry and just made sure I was not exceeding my carbohydrate levels. The weight came off and I felt great. Now when I have a meet coming up, I tend to fall into old bad habits of not eating enough. Which could be detrimental to the muscle I have put on. I need and so do you to remember to fuel the body to lose the fat. Eat 6 small meals a day and your metabolism will bump up. Track your carbohydrates, fats, and proteins, and don’t forget to track your alcohol. Also if you are a carb counter like me you might have to increase those carbs just a little at a time to get things rolling again as well. Watch what foods you eat and how they affect you. I know for myself that Macadamia Nuts can be a downfall for me, mainly because I tend to eat the whole jar when I have them. Now when I open a can the first thing I do is walk around the office and share them. That is it for today, now go hit the gym or your home gym which ever it may be. Track you meals! I know you do not always have a computer with you when you are eating. So carry a piece of paper and a writing implement and just jot down what you have to eat. Then enter it in your tracker when you can. Planning you meals for the day is very important. It is very easy to overeat or miss you carb and fat grams when not tracking. Good Morning, I am 5 lbs. from my goal this morning. It is not getting easier. I am pretty lean already and I do not want to sacrifice strength for this event. I really want to hit a new personal best at this meet. That is a personal best with a solid pause approved by the judges. My bicep tendonitis is not feeling good today. Had PT yesterday and sometimes the day after that it is sore. I guess that is to be expected. I over slept today and I will be behind the rest of the day. It is not going to be pretty. So I hope you do not might a shorter blog today. On the bright side, my body must have needed it. I have been pushing the cardio with both running and the bike. With the bike I get a good workout in as I crank up the resistance on the recumbent bike. Day 2 of chest this week, I am hoping to rock it at the Nationals. Going on my heavier cycle on day 2. I may try pressing 315 with that pause today. Let me see how it goes. For those following the exercise schedule today you are working shoulders. I am still not allowed to do them yet, so hit them extra hard for me will ya! GET YOUR SLEEP. Your muscles need to heal and when you workout intensely they need the rest. When you sleep your muscles get the opportunity to heal the way they should. Did you drink enough water yesterday! Let’s see how today’s rant flows. I have started increasing my cardio and have recently read an article that stated that the stationary bike with high resistance is great for burning extra fat and maintaining muscle. I guess, when I think about that, it makes sense to me. When I bike I crank the resistance up because I like to feel the burn in my legs when I ride. I biked yesterday and will do another half an hour today. I am still 6 pounds out form my competition weight. Which, means I have to start getting serious about my fat loss. I think I need to increase my calories with some MCT oil. I blog about this awhile back. 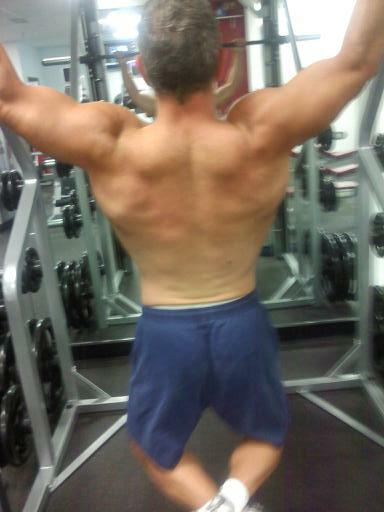 As far as my workout today I plan on hitting my back muscles. Shoulders are still out because of the bicep tendonitis. However, the therapist did tell me to start doing bicep curls for a reps of 15, with only 5 pounds . Ugh this is a slow process. Don’t get discouraged. If you miss a day working out, or even a whole week, don’t get down on yourself—just get back on track when you’re ready and keep your goals in mind. In most cases when you body becomes use to working out it is going to crave getting back to the gym. It is a good idea to take a week off or two sometimes. This really gives the muscle time to heal. Good Morning, well tell me how you went out yesterday and relieved some stress. I know I did. Worked on my benching today and I plan on hitting it Wednesday as well. The second week of August I will not be able to work out so I am trying to hit it extra hard so I am ready September 3rd. During that week I will be able to run and I will be keeping an eye on what I eat and what my weight is. Right now I am at 169. I had a nice dinner out with my daughter last night and while I ate on plan I did have more than enough to eat. All this shall pass if you know what I mean. Water is very important ingredient in my training and keeping the muscles hydrated. I actually want to be super hydrated so my body becomes very efficient at evacuating the extra water. This way if needed I can let myself dehydrate the day before weigh-ins and make weight easily. Those of us who follow the Atkins way of eating are fully aware that when we burn fat the body produces Ketones. These Ketones are flushed out of the body via urine. This also improves the fat burning process. Bodybuilders on a high protein diet will produce urea as a result of protein metabolism. This is removed from the body via urine as well. Another benefit to keeping fully hydrated is it will improve the effectiveness of your workout. Think about how you feel on a hot summer day when you end up dehydrated. You feel spent unable to move. Just go watch any softball game where the players are not drinking enough they start to drag. 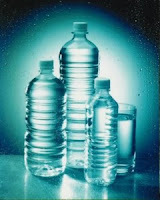 Well even if you do not feel thirsty you could be dehydrating yourself during your workout. If you allow your body to get into a dehydrated state it can send you into a catabolic state. The catabolic state produces muscle-destroying hormones. Your body becomes stressed at this point and increases cortisol, which will make it harder to lose fat. Phew sorry about that. I just got on a run there and could not help myself. You have heard me talk about the importance of water before. I will be squatting today and I hope you will join me and bring along your water to keep hydrated. Guess what the tip will be about today? That’s right getting enough water. There are many ways to achieve this. The first is to make sure you always have it handy. I am not a fan of purchasing water. I have a tap in my house that I like to get it from and it is a lot cheaper. What I do is keep several containers of water in my car at all times. Yeah sometimes it does get warm, but if I plan properly I just keep a cooler in my car and grab a reusable bottle of water when I need it. When you first get up have a glass of water first thing. I know you need your coffee and believe me so do I. I promise you will still have room for your coffee. When you go to workout bring a bottle of water with you and switch from soda or your other favorite beverage to water with your lunch and dinner. Now the one down fall with drinking this much water may be the need to get up during the night to take care of business. Today I will send in my registration form for the USAPL Bench Press Nationals. I am so looking forward to this event. The USAPL streamed live their Full Power National meet which was an event where the lifters are allowed to where equipment which can assist the lifter push even greater amounts of weight. The USAPL is also having their Raw Nationals in the month of August. This event I did not get to qualify for. I do hope to do that event next year in Killeen TX. I have to start planning now so I can qualify. Anyway if I find they are going to stream the event live I will put the link here. I will be lifting on Saturday September 3rd, sometime around noontime. My flight will be booked today as well. The only factor that is up in the air that I will have to decide also depends on the flight. I want to get there early enough on Friday, to possibly weigh in on their scales. Just to make sure I am set the 163-pound weight class. I am 167.6 right now and hope to hit 165 by Friday. Then maintain that through mid August. Workout today will consist of benching and trying to hit my personal best numbers with a pause. I really want to go in knowing what I am going to hit. I really want 315 with a pause. I plan on doing doubles for the next to weeks. Hitting it on Monday and Wednesday. I will have to work hard and smart. The week before the event I will not lift but may do cardio just to keep the weight where it needs to be. Well off to work my friends and then to my workout at noon and back to work. Keep cool everyone! Exercise can and is a great stress reliever. If you are looking for that little bit of motivation to get you going for the day look no further. As you exercise you will find you relieve the stress that you encounter through out your day. Your body will release endorphins. Keep in mind the harder you work-it the better the benefit of exercise. So go relieve some stress today. I went for a run yesterday at noon in the highest heat of the day. I would not suggest most people do this. However, the heat does not seem to bother me. The funny thing was when I got back to the gym I was not dripping in sweat. After running outside I jumped on the elliptical machine and went for another 10 minutes. I did a mile in 8.5 minutes and the last minute and a half was cool down. I was dripping after that. The only thing I can figure is that between the breeze created while running outside and the sun beating down, the sweat was evaporating very quickly. It was 100 degrees outside. On today’s schedule for the current exercise schedule that some of you follow, you will be working the upper arms. Now keeping in mind that your arms get a workout during your back, shoulder and chest days this day is a little extra for them. As I look at the exercises I have set up for today it strikes me that I need to add some forearm work. Well that will have to be another day. I would like to address the tricep. The tricep is made up of 3 muscles. Hence, the prefix tri in the name. These muscles are the medial head, lateral head, and the long head. The tricep aids in extending the arm and when contracted creates a horseshoe shape on the backside of the arm. As I am sure you already know the bicep is made up of 2 muscles, the biceps brachial and the brachialis. The bicep helps is bending the arm at the elbow. There is another muscle that extends from the base the bicep to the forearm. This is the brachioradialis. I think I have spent enough on the anatomy of the arms for today. One of reference materials I use is Strength Training Anatomy by Frederic Declavier. When curling you should take in consideration the angle at which you elbow leads your forearm. On many people when you hang your arms at your side with your palms facing up, the arm leads away from the body. For those people and easy curl bar will work much better than a straight bar. If a straight bar is used by this person it can cause pain in the wrist. If curling with dumbbells this is not a problem. Today my friends who follow my workout routine will be working their shoulders. The shoulders are a very complex group of muscles. I have an impingement in mine. It does affect how hard I can throw a ball. I don’t through like a girl, oh wait a minute my daughter can throw harder than I can. She has a cannon for an arm and likes to show you just how hard she can throw. One coach at the beginning of the softball year was in pain after catching from her throwing to home plate. The shoulder is made up of 4 joints and 5 linked bone groups, which are related and work together. The shoulder has the greatest range of motion of any joint in the body allowing complete global movement allowing you to position your hand almost anywhere. The shoulder has to be a free moving joint, unlike the hip it is not a ball and socket joint. It encompasses a complex series of ligaments and muscles to achieve and maintain the joint. Your deltoid is the muscle group on top of the shoulder. There are three parts to your deltoid, the anterior, lateral, and posterior heads. The Anterior Deltoid contributes too many Pectoral-related movements, e.g. bench press. The Lateral Deltoid is most active in dedicated lateral movements. The Posterior Deltoid is often activated in back exercises that involve the Teres Major and Rhomboid muscles. The Teres Minor is part of the Rotator cuff and is vital to keeping the humerus from popping out. The humerus is the upper arm bone. The main function of the Rotator Cuff is to stabilize the shoulder joint. The exercises I have laid out will work the shoulders well to help keep them strong. 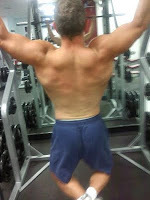 I will be updating the shoulders exercises to include more Rotator Cuff work shortly though. Do not wait to have shoulder pain checked by a physician, especially if you are just starting out. You need to make sure that you keep the shoulder strong. If you find you have shoulder pain that is affecting your bench-press you probably have a Rotator Cuff injury. 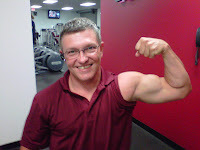 My bicep tendonitis is does not affect my bench, however it does stem from the impingement in my shoulder and as I stated the other day that comes from some back muscles that connect to the shoulders. Good Afternoon everyone, I little change of pace today. I am fuming right now and had to vent a little bit. To many times over the years I have been forced to find a new dentist. Whether, it was because they no longer take my insurance, my insurance changes or the dentist I like even retires. These things happen I guess. So I had to find a new dentist. This is no easy task I also had to keep in mind down the road my family may need an orthodontist. So off I went searching the internet and I came across The Smile Generation. I thought OK what is this all about. It is a search engine for dentist. I found this to be helpful in narrowing down my dentist search. Smile Generation does a lot of the hard work for you. I found it interesting they even offered a coupon for certain services. Now of course I will have to check with my insurance carrier if the dentist is participating in my insurance or not but at least I know they use state of the art equipment. I honestly thought all dentists had state of the art equipment. 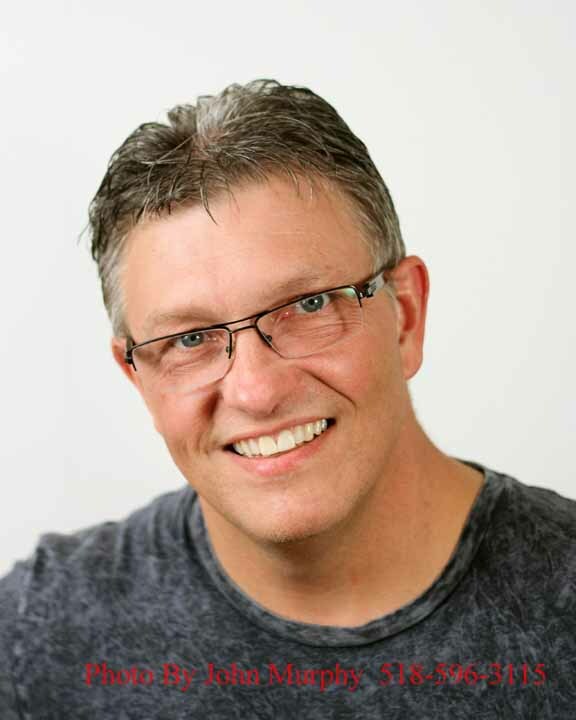 Bottom line here I guess is that I had to find a dentist again and I chose to search through Smile Generation and thought I would share that with you. After all my blog is about fitness and we cannot eat properly if we do not have good strong choppers to eat with. Wow it is July 20th already. This summer is flying by. Softball is winding down and soccer tryouts are almost done. It seems our children today have so many activities that we parents are running all the time. Both my children start lessons tonight. One for violin and the other for guitar, unfortunately the lessons will be on Wednesday nights. There go my workouts with the guys at Albany Strength. I will have to try to make at least Friday nights there. I was doing some reading on Delayed Onset Muscle Soreness again. I found some interesting information. If treatment is desired, any measure that increases blood flow to the muscle, such as low-intensity work, massage, hot baths, or a sauna visit may help somewhat. Counter intuitively, continued exercise may temporarily suppress the soreness. Exercise increases pain thresholds and pain tolerance. This effect, called exercise-induced analgesia, is known to occur in endurance training (running, cycling, swimming), but they say little is known about whether it also occurs in resistance training. From my experience this is true of resistance training as well. There are claims in the literature that exercising a sore muscle appears to be the best way to reduce or eliminate the soreness. This does make some sense to me in that light exercise for the sore muscles will infuse the muscles with blood, and thus helping the muscles heal. This does not mean you go and put in a full heavy workout on the muscles affected with DOMS. Today the people following the exercise schedule I have set up will be working their chest muscles. These are the pectoral major and pectoral minor muscles. The pectoral minor depresses the point of the shoulder, drawing the scapula inferior and medial, towards the breastplate in the chest. For me this muscle while small seems to be causing some of my problems with the bicep tendonitis. It is over developed in comparison with my lower and middle trapezius. I am working on strengthening those trapezius muscles. The pectoral major muscle has two muscles above it that make up the entire chest muscle group. We work all those muscles when we perform a flat bench press exercise. I like to include the incline bench press to hit the upper portion of the chest and the decline bench press to hit the lower portion of the chest. My lower chest is thicker than my upper chest so I tend to skip the decline and hit more incline and flat bench work. The dumbbell fly exercised is performed on chest day to shape and create striations in the chest. I hope all this helps in understanding the chest muscles and the workout I have set out. Pushups are an excellent exercise for the chest and you can hit the muscles many different ways. You can go with a wide hand stance, a narrow hand stance, and even keep your elbows tight at your sides. The elbows tight will tend to hit the triceps like a close grip bench. You can also simulate an incline and decline bench by where you feet are relation to your head. You can put your feet on a chair or your hands on the chair. Thus simulating the incline and decline bench press. Had a good workout yesterday and PT on the bicep went well. I think the deep tissue massage is as hard on the therapist as it is on my. They really have to work to get to the tendon and their hands get fatigued. Yesterday they added the arm peddler machine. Not sure what that was suppose to do other than warm up the muscles. The therapist thinks my problem stems from an imbalance in my muscle between my front and back. He has given me some exercises to work the lower and middle trapezius muscles. Some of the exercises I am already familiar with but he wants me to hold the muscle flexed or engaged for 20 seconds on each rep. He wants 20 reps on each exercise. Also there are 5 motions he has me doing for sets of 15 reps with holding at the flexed point for 5 seconds. The range of motion is small on these exercises so they go fast. Maybe I will record these for the exercise video section of the blog. Having great music to listen to during your workouts can make a difference - the right song at the right moment can be just what you need to push a little harder. These resources will help you find new ideas for rocking it out during your workouts. Tell me what some of your favorites are? My friends I am tired. I need a vacation. Well it is back to the grind today and I am not sure if I am going to do squats today or work my bench. If I do bench I will probably get two days of benching in this week. If I squat then it will maybe 2 days of squats. Both are fine for me. I should probably squat because I need to work on that more than my benching. I really enjoyed Brian’s post yesterday. It points out the importance of being sure to warm up properly and how stretching is such an important part of any exercise routine. If you are just starting out with your exercise program be sure you are warming properly. This will help prevent injury. If you can keep away from any injuries you will be able to enjoy your new way of life a lot more. The Bench Press Nationals are only 6 weeks away and I am starting to cut back on a little body fat now so I can make sure I can be properly fueled for the even. I am at 169 right now and want to be down to 163 the week of the event. I want to lose this slowly so as not to lose any strength. The key here is tracking my food with one of the online calculators and just upping my cardio from what is almost non existent now. Usually I just get my cardio from lifting. Your heart can get really pumping during a good workout. I am very close to having the amount I need to get there. If you would like to help, the donation button is on the top right of this page. Eat intelligently. The difference between man and beast is that we are driven by intelligence while beasts are driven by instinct. Don’t just eat something because you feel like eating it. Ask yourself whether your body really needs it. I have to be honest I recently read this tip someplace else. I do not remember where but it really hit home for me and I hope it does for you. This week I am going over my warm ups, most notably, the soft tissue work I perform regularly. I believe in starting every workout with a thorough warm up routine. The process depends on what I will be working on that workout. Since my workouts alternate between training my upper body or lower body training, my warm ups come in two varieties. On upper body days, my primary concern are the muscles with connections near the shoulders, as the shoulder will be in motion for every exercise. I’ll start by taking a light resistance band and performing a few sets of about 20 reps, alternating between pulling the band apart and wrapping the band behind my back and making a pressing motion. This is to increase blood flow to the upper back, shoulders, and pectoral muscles. Also some triceps extensions are thrown in with the resistance band. None of these reps should be the least bit difficult. I will also perform some light shoulder external rotation work for the rotator cuff. Now that the muscles have had some extra blood flow, they are ready to be stretched. However before I do this I include some soft tissue massage. Since I do not keep a massage therapist held captive in my basement gym or at the gym I train at, this is completely performed with a few tools I keep handy. The first item is a foam roller. This is a tube similar to the foam pool floats that are shaped like noodles, except denser. They can be found at most sporting goods stores. They come in a variety of firmness and some even have ridges built in to knead your flesh better. If you can tolerate it, you can improvise and use a PVC pipe, about four to six inches in diameter. Another item that some people use is a massage stick that consists of a cylinder or group of rings that rotate around an axle as you roll it over your body. I improvise with a basic rolling pin found in any kitchen supply store. The third item I use is a baseball. Some folks use a lacrosse ball. The goal is to soften up the muscle tissue by pressing the tool into the flesh and rubbing it around, either back and forth or in a circular motion. Typically I use a recovery tool based on what muscle I am softening. The foam roller for large body parts such as the back and legs, and the baseball for smaller parts such as the deltoids and forearms. On upper body days, I will spend a few minutes, ramming the baseball into the pecs, deltoids, triceps, biceps, and forearms, moving the ball in a small spiral pattern or back and forth an inch or two at a time. For my back I will lay on the floor with the foam roller ( or PVC pipe) beneath me and use my legs to push and pull myself over the roller, letting it knead my upper back. After I have done this, I will perform a few stretches. These include stretching my shoulders in each plane of motion. For my upper back I will hold an upright of a squat rack, lean back and hold that position. Also I will hang from a pull up bar and let my lats stretch. Now I am finally ready to start moving some weight. I always start with the empty barbell and perform one or two sets of 5-10 reps before I ever put weight on the bar. On lower body days, I start with a few minutes on a stationary bike, just to get the blood flowing. Next is some hip mobility work with focuses on swing my legs for a few reps in each direction. Also I will grab onto either a barbell in a squat rack or other horizontal rail and sit back into a full squat. Next is the soft tissue work. The muscles of primary concern during warming up are my hamstrings and quadriceps. I have a history of minor patellar tendonitis, so I want to keep my quads from getting tight. I place the foam roller ( or PVC pipe) under my legs and use my bodyweight to apply the pressure. I work about ten strokes of about two to three inches before sliding over the roller about two inches and repeat until I have covered the entire limb. I do this for the front of my shins, the quads, hamstrings, and adductors/abductors. I will also lay on the foam roller and work the glutes and lower back in a similar fashion. If you haven’t tried this before I will warn you ahead of time. Foam rolling your lower back will be painful until you get use to it… especially if you opt for the PVC pipe. I still find that foam rolling my IT band is unpleasant. One thing I have noticed is that I can swing my legs forward through a greater range of motion after foam rolling than when I start. This is a sign that I have loosened up my glutes and hamstrings. The last step of my warm ups during lower body days, is a few light squats. If I am deadlifting, I will also perform a few light snatches and/or hang cleans. 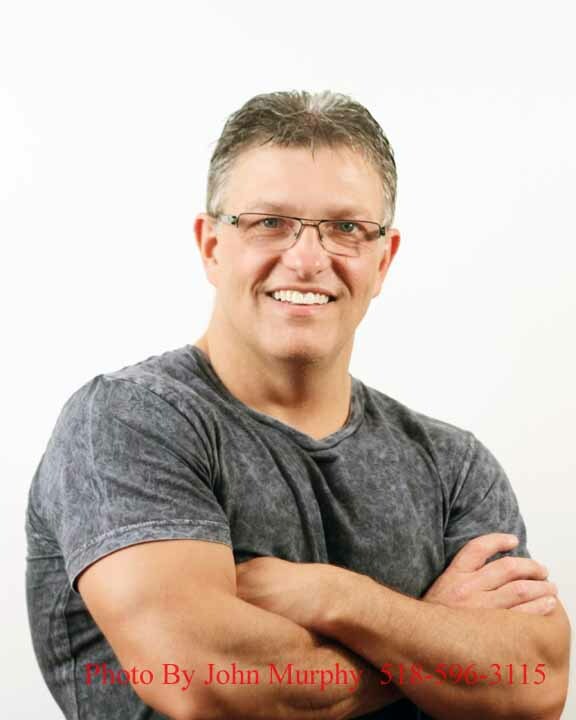 If you read Jim’s rant about his tendonitis, one of the things included in his rehab work is soft tissue massage. I keep soft tissue massage in my program as both part of my warm ups and as pre-hab work to help fight off injuries. The benefits are improved flexibility and healthier connective tissue. I wanted to touch on a subject that is close to me. That is the smoking habit and how it can hurt a family. This is close to my heart because this habit stole my mother from me some 30 years ago. I was only 19 when she passed and I had 4 younger siblings. As I recall it took her getting a tracheotomy to quit the habit. I am amazed at how many people still smoke. I am even more impressed with those that have quit. Some have used Electronic Cigarettes others have used the patch while still others have quit cold turkey. Those who have quit cold turkey I am so impressed with you. Between the patch and the Electronic Cigarettes it seems to me the Electronic cigarette would be the most successful. Part of the smoking habit is just that the habit of having something in your hand and lighting up. My guess is that with this method the habit is addressed. I watched mother’s life go by from the age of 13 when she told me she would never get any better. It was tough as a thirteen year old boy to watch his mother sob over a poor life choice. I do not begrudge anyone their right to smoke and I also will not hold it against them. I still have friends and family members who smoke. I do encourage them to quit. Besides the health implications there is the cost. For people to spend this kind of money on something they know is harming them does baffle me. My step mom has emphysema and I do encourage her to quit and I think I am going to suggest Electronic Cigarettes. Maybe just maybe she will quit. Good Morning blog followers, another day of healthy eating and exercise behind us. For those who just started their exercise routine, they say it takes 21 days to form a new or break an old habit. You are one day closer to Exercise becoming a habit and you came become addicted to the endorphins a good workout releases into your body. I know I am. I have recently been told I am obsessed with working out and I guess I am. Really though it is more of a mid life crisis that just so happens to be saving my life. As many of you have read on the page “Who is Wesley (Jim) Kipp”, I was fat and not just out of shape but unhealthy. I am proof that you can turn your life around and create the new habits to maintain those changes. I worked my core pretty hard today, which means I will have DOMS in the morning through out my core. I just hope nobody makes me laugh. Think about it, your abs are sore, and you start laughing, coughing, or sneezing, and you can feel it. I know it may sound funny but when I get DOMS in the core, I tend to laugh and this just makes it hurt more. Sick yeah I know! It is very important to work the core on a regular basis. I suggest weighted core exercises once a week. Just like you work the rest of your body with weights it is a good idea to do the same with your core. 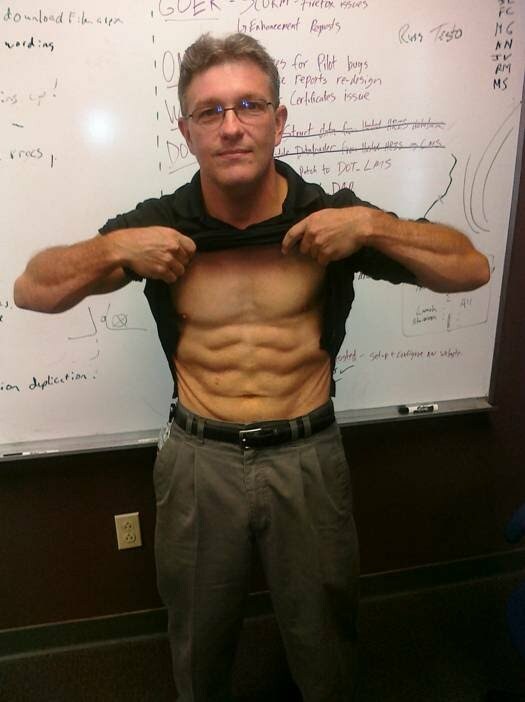 I have said you can work your core nightly. The nightly core workouts are just simple crunches with out weights, and just 3 sets of 8 to 10 reps. Save the heavy stuff for once a week. A powerlifter works his or her core on a regular basis with the squat and deadlift exercises. Traditional abs exercises, like sit-ups and crunches, focus on the rectus abdominis, but it's important to work all the core muscles because one weak area can cause poor posture and make you susceptible to injury. The best core exercises involve moving your limbs while stabilizing your abs. One tool for working the core muscles is the exercise, or stability, ball. It's effective because you have to balance on the inflated ball while exercising, which engages your core. There are many exercise videos available using the balance ball. Bicep curls and dumbbell bench presses on the ball will work the core pretty well. If you do not have an exercise ball you can get one here. Well good morning everyone. It seems I am getting a nice following now and I hope you all take the time to look around and see what this site has to offer. As you can see I am an Amazon associate and if you already shop at Amazon why not start here. I have a page for exercise equipment, Atkins products, supplements and one page that I fill with request from you readers. There are exercise videos and even exercise programs you can follow. 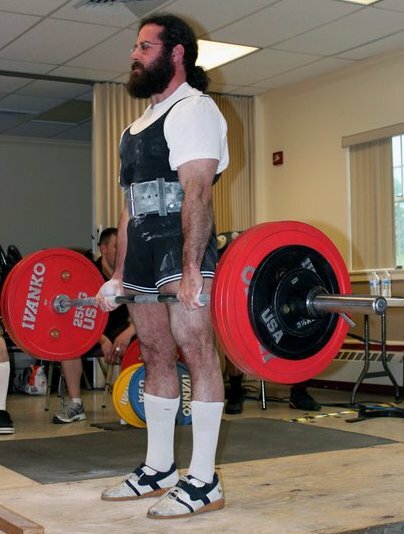 I think at the next meet that I do I will ask one of the experienced lifters to show you proper form for the lifts at that event. You already know I power-lift and I assure you the routines on this site are designed for all abilities. From the beginner to the more advanced exercise enthusiast. Now about my visit to the physical therapist, as I have mentioned before I have bicep tendinitis. It can be pretty painful. Quick movements that jar the bicep tend to send a sharp pain across the entire bicep. It does not affect my bench and it can heal. Remember I have said you need to listen to your body. Well this one of those times that I was not completely deaf. It has bothered me for several months. However, I was stubborn in getting it addressed. Now I have paid for it. The muscle has some atrophy to it now. It is actually shaped a little differently and a little smaller than my left arm and I am right handed. The Physical Therapist told me no bicep curls, and definitely not to do any pull-ups. Basically any exercise that produces the tendon pain cannot be done. That means no dead-lifts and it also means my hope to do a full power meet on August 28th has been squashed. The PT consists of heat, ultrasound and massage therapy. Let me tell you the massage therapy gets deep in the shoulder and is very uncomfortable. There will also be new exercises for me to perform to strengthen my lower trapezius muscles. The bicep tendinitis may be the result of an impingement in my shoulder. The impingement could be the result of week lower trapezius muscles. The upper trapezius muscles are fine. Due to the bicep debacle my decision to compete in the National event is a little easier. That event is Bench Press only and I will be ready for that on September 3rd. I know I can beat the current National record and look forward to breaking it at that event. Hopefully I will be able to hold my own against any other lifter in my age and weight group. I will continue to train Wednesday nights at Albany Strength and work on exploding the weight off my chest with a pause that is USAPL worthy. I have a month and a half to get the money together for the event. The toughest thing this year was all the last minute planning to compete. I have learned a lot as far as what events are important to do and when to do them. For next year I will be ahead of the game at least in the planning of competing. If you would like to help me get there, any donation would be appreciated. The link is at the left of this page. For the new readers pick a workout routine and get started. I look forward to hearing from you and your success stories. As I prepare for the Nationals try to set a goal for you to be obtained in the fall. We can get there together. Send me your goals that you hope to achieve by September 3rd and once I have everyone’s results I will try to post them here. It is another day and a day filled with squats for me. I also start PT on my bicep tendonitis. This should prove to be interesting. They are going to do STIMS and ultrasound therapy. Hopefully all will be well in a couple of weeks. I am experiencing a case of DOMS today in my calves. A friend of mine asked me to help her stay motivated to work her lower body. Legs and glutes people, get your minds out of the gutter. Anyway to see if she was serious and ready I had her work her calves yesterday. We started on the bottom step and did a calf raise. Then we went up one step and did 2 calves raises, 3rd step we did 3 calf raises. Well you get the point and we did this for the entire flight. She tried to cheat and bend at her knees. I didn’t notice at first because we were doing them simultaneously. I chided her for cheating and got her back on track. She thought she was being funny. Knowing her personality I know she will do them right, she was just having a little fun. There were 11 steps and by step 11 she was feeling it and so was I a little. This is where my case of DOMS has come from. On your leg day you should give these a try. I changed things around and worked my back yesterday and today I will be squatting and I hope to go for 350 deep enough to count as a good lift. Warming is will be very important for me. You have to listen to your body and pay attention to what it needs to warm up. My legs seem to take a long time to warm up. Where as my upper body warms up quickly. My warm up will consist of several reps with just the bar and then increment up from there, being sure not to exhaust the muscle but warming it up substantially. This way I can avoid and injury and come out with a big lift at the end. Many injuries happen when we do not warm up and stretch before an activity. If you jump right in with a heavy weight you are stressing the muscles when they are cold and you could pull and tear a muscle. These injuries can take a long time to heal and when this happens it can throw your motivation out the window. Be sure to warm up properly today. I thought today I would talk about the clothes rack you have in your spare bedroom or basement, it was originally purchased as a piece of exercise equipment. Yeah you know what I mean. You purchased a treadmill, or elliptical runner machine. Maybe it was a bike or a rowing machine. You said to yourself this is it, I am going to use this new machine and for the first week you did. You made small strides and then either life happened or you just stopped or felt I will just do it later. Well it is later folks and it is time to go fold the clothes and dust off the machine and get moving. I am counting on you and we know that machine is feeling pretty embarrassed right now. You all know I am a big proponent of strength training with weights or even you own body weight. The home cardio machines are good and if you have them you should use them. Strength training will actually help you burn more calories when you are at rest though. As you build muscle you body works harder to maintain that muscle which in turn burns more calories and depending on our diet will burn off more body fat. At this point in my diet and strength training regimen I work pretty hard for an hour a day. All the time trying to get stronger and build more lean muscle mass. Of course as I do this I am eating more food that you can imagine and still maintaining a lean physique. I try not to get caught up in the scale unless I am preparing for a meet. Everyone is different. Some people like to run for several miles a day. Me I really do not like to run. I will do it as quick means to burn off a few extra calories when I take the week off before a meet. When I do I will only run about 3 miles at the most. While I know some people that will run 10 miles a day. The challenge I see in this is how do you keep the body fueled for these runs. Your body at some point will start to consume it’s own muscle protein to sustain itself for these long runs. If you are a runner who enjoys long runs, please be sure to find a way to add fuel as you run. There are several drinks you can have to help with this. Even Isopure has a liquid protein that is so pure you can see through the liquid. It looks like a Gatorade but packs enough protein to repair the muscles you are using. Dust off that exercise equipment and find someone to be responsible to and use the machine. Be sure to schedule your exercise time just the way you would an important meeting. You will be happy you did! Happy Monday everybody, I hope you all had a nice weekend. Mine as usual was very busy. Both my children had tournaments for the sports they compete in. In addition I still help had to mow my lawn and help out some family members with projects they had going. I did get some quality time with my son swimming in the pool though and that was great. Swimming is a great low impact exercise. Personally I swim like a piece of slate. If I go fast enough across the top I can stay up but the moment I stop I sink like a rock. My kids think it is funny that I can lie down on the bottom of the pool and stay there. The nice thing about swimming is if done correctly, kicking properly and using your arm strokes you get a lot of muscle groups working and you can burn a lot of calories without impacting your joints. We all know a runner who will tell you their knees hurt, their shin hurt their ankles and hips hurt. However swimming is one of those exercises that can really help you get on track. The other benefit I will get swimming is that during the breaststroke I actually can get a good stretch in my shoulders and chest. So if you are looking for different types of cardio workouts that will not make your knees feel like they are falling apart, try swimming. If you are not a good swimmer like me, just get out there and get some lessons. Yes even at our age we can learn new tricks. Then it is just a matter of practice and while you are practicing you are burning away that unwanted fat. You ever notice when you first jump in the pool the water feels cold. Then after a few minutes of activity you think the water is warm and feel perfect. This is because you are working those muscles and heating up the body. I will be working my chest today and hopefully going for a new personal record. Last Monday I put up 315 let’s see if I can hit 320 today. Wish me luck. Practice inhalation and exhalation. Most people new to swimming will complain about not being able to breathe when they swim. They'll often hold their breath; this is what I tend to do. We need to slow down when we're practicing and concentrate on inhaling when our face is out of the water, and exhaling when it's in. Today I am going to write about your hamstrings. The hamstrings are the three primary muscles on the back of the femur. While one head of one of these muscles only crosses the knee joint, the remaining hamstrings, cross both the knee and hip joints. Because of this, the hamstrings as a group serve two functions. The first is to flex your knee joint. Think of a leg curl. However, if you only perform leg curls for your hamstrings, you are missing out. The second, and in my opinion, more important function, is to perform hip extension. While walking, focus on pulling the planted leg back behind you with each step. By pulling your leg back, while on a planted foot, your torso is propelled forward. That is your hamstrings at work. In order to walk or run with the highest speed and efficiency, you should be focused on your hamstrings more than your quads. How many times have you been told to lift with your legs? In addition to movement, the hamstrings should be one of the primary muscles used to lift heavy objects. Unfortunately the hamstrings get a bit of a raw deal, as they are on the back of your legs and are not as easily seen in a mirror as your quadriceps. While you are likely to step into a gym and see countless patrons spend hours, working away on their chest, arms, abs and other ‘mirror muscles’, the hamstrings should be, along with the glutes, the strongest muscles on your body. This leads me to what exercises are best to work on your hamstrings. First I will say that it would be irresponsible on my part to describe the lifts in detail without demonstrations. So it is up to you to find a good source to learn proper form. If people want, I can put together some footage of some of these exercises. Ranking the exercises, first and foremost is the squat. If I was told that I was only allowed to perform one exercise for the rest of my life, it would be the squat. Not the shakeweight. Squatting with a barbell works your entire posterior chain. An added benefit of squatting is that it works a large amount of muscle mass and should help boost your metabolism. During one period in my own training, I lost about 15 pounds when the only thing I did differently was squat more frequently. During a squat, your legs are bending at the knees and the hips, which are the two joints that the hamstrings are involved in. Keep in mind when squatting, to get low. If you only perform quarter squats, you will not fully activate your hamstrings. Other options to consider are deadlifts and variations such as Romanian deadlifts and stiff legged deadlifts. I will also include good mornings, but many of you will probably never need or try these. More great options include pull-throughs, hyperextensions, reverse hyperextensions, and glute-ham raises. Glute-ham raises are an excellent choice, as they utilize both functions of the hamstrings, but they are hard and it may take some time to be able to do them correctly. Some people like to use lunges or split squats. They are also fine choices, but if you are focusing on your hamstrings, remember to keep the front foot relatively far from the back foot. Lunges and split squats with your feet closer together will work the quadriceps more. Something to consider: Your hamstrings are a large muscle group, so if you have not been working them and then decide to hit them hard, expect to be sore. If you are not sore after the first time, odds are you did not work them very hard. Soreness could last a few days, or even a week is possible. Sometimes the soreness will not start until a day or two has passed. The good news is that once you work them into your schedule, your body will adapt and the length and degree of soreness will be reduced. Consider this your motivation to continue to work them. From my personal experience, as long as I continue to train my legs, I do not get very sore. Also some tricks can be employed to minimize soreness. First of all stretch regularly. Hamstrings are notorious for being tight. An easy way to stretch them is to loop a towel or stretch band around your ankle and slowly pull your leg up while laying on your back. Foam rolling and other soft tissue work is also beneficial. That could be a future post. Another trick is to get in light exercise one or two days after your hard session. This is sometimes called ‘active recovery’. This could include going for a walk or a swim, or squatting with just your bodyweight for a few sets. I am going to go off on a tangent and use this as an excuse to state why I don’t like treadmills. After turning on the treadmill you lift your foot up and place it in front of you. This uses your hip flexors. The belt moves that leg back and while that happens, you place your other foot in the front and repeat. Unless you make a conscious decision to do so, the treadmill is what is pulling your foot behind you as you walk. It is possible to use a treadmill, and never activate your hamstrings. This could lead to an imbalance from working your hip flexors repeatedly, with little to no hip extension work. You are better off just walking without the treadmill. Note that a manual treadmill, which does not have a motor to turn the belt, is also a better option. Also note that walking outside does not require a gym membership. It’s free and can be done anywhere. A great exercise for any beginner is simply to go out for a walk. Start with a short time and gradually build up the time or add in walking up hills. To be very blunt, if there are no structural injuries present, and walking is too strenuous, you really should not be concerned with other forms of exercise. Great Post Brian and thanks again for your time and effort! It is a little late in the day for me to be putting up my post I know. It is almost 11:00 AM and I usually post at 5:30 AM. It has just been busy. Today I finally had my shoulder and the bicep tendonitis looked at by a specialist. I do have and impingement in the shoulder. Not a big deal just means I need to do more rotator cuff exercises. The bicep tendonitis I am going to get some PT for. The doc suggested some STIMS and Ultrasound therapy. Hopefully everything will feel better in a month. In the gym I workout in there are many people that are in their golden years. I am so impressed with their dedication to maintain a healthy lifestyle. A few are just starting their workouts and of course have questions about the machines at the facility. I am always happy to assist them. This all goes back to some of the statements I hear from people, where they state "I am too old to start strength training." First of all you are never too old. There is a gentleman who is in his 80's and still competes in the 100% Raw Power lifting federation. I have not met him but I have read about him. Secondly if you take it slowly you will progress nicely and you won't have the extreme soreness some people get when they first start out. Recently a person told me they saw a trainer and that trainer put them through a workout so intense that they were sore for 4 days. They didn’t want to go back to working out again. I hear this pretty often. I think this is where a trainer fails their clients. If you are a trainer, and this is in my most humble opinion, you need to take in consideration the type of person you client is; Are they the type who needs to be pushed or are they the type who needs to have their hand held with gently encouragement. Has the client ever workout out before and based on their age and physical activity set up a program that will be both encouraging and effective. One thing that is true of every trainer/client relationship is that the trainer works for you. An honest and open discussion should take place before the first workout session so you both can be comfortable with each other. Tip: When considering hiring a trainer don’t make a quick decision. Talk to a few trainers and choose the one that is the best fit for you. Discuss your goals and how that trainer plans on getting you there. I want to talk about comfort today. Now this can mean many things, working in your comfort zone, being comfortable with your surroundings or even just being comfortable in the clothes you wear. Now when I work out I am no fashion plate. Comfort is what is important to me. I don’t like extra clothing hanging on me when I work out. No big bulky sweatshirt for me and as far as sweats or shorts it all depends on what I am working on for the day. I like to do my squats in shorts. You may be different. The thing is you need to feel comfortable in your workout attire. The building where I work out has many doctors and nurses in it. Of course they all work out in scrubs. I was talking to one of the doctors and he said simply they are just so comfortable. They are lightweight and can wisk the sweat away from your body. So I started checking scrubs out as a clothing option for working out. I found http://www.blueskyscrubs.com/categories/Scrubs/ and will be checking them out. They sell a full range of scrubs for men, woman, and children. If you are not comfortable when you workout it is likely to become a chore for you and you will not enjoy going to the gym or working out at home. Also while I am talking about it let’s address the issue of the person who thinks the gym is a pick up joint. I mean really when someone is working out, whether it is pumping some iron or getting their cardio in, that is not the time to be asking for their number. Now I am all for an experience lifter helping someone they see using bad form, but let’s make sure it is for the right reasons. If you do want to meet someone please wait till they are done working out and have taken their shower. Be sure to try different clothing to coincide with your workout for the day. Like I said above when I do squats I like to wear shorts. When I bench it either has to be a tight T-shirt or sleeveless, that is just me. Oh and go ahead and try the scrubs and let me know how you like them. Good morning, Today I will be squatting. I cannot make it to Albany Strength today because of softball with my daughter. So I will be recording my squats and posting them for my friends at Albany Strength as well as my weekend poster Brian. My plan is to go with my 5x5 workout. There are many 5x5 online generators out there on the web so feel free to check them out. I am hoping at the end of this cycle to have a respectable squat that will help me reach an 1100-LB triple. For those of you that are unaware of what that is it is the combined totals of the three lifts, Squat, Bench press, and Deadlift. My bench is where I need it. My squat and deadlift need to get up some. I need a minimum of 360 in the squat and 440 in the deadlift. Since it will be my first full meet in December I actually need to try to get more than 360 on the squat. 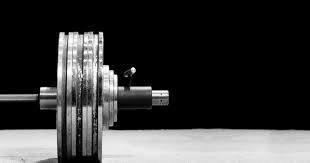 A full day of power lifting is like a full day of working out. Each event you need to warm up for then you lift heavy 3 times. I am not sure how squatting is going to affect my bench, if you look at the records it seems the bench totals tend to drop when you have just completed the squat portion of the lift. I think eating enough and eating properly will be the key to being successful that day. The night before I plan on making sure I eat plenty of healthy fats for fuel. I had a great workout yesterday and my workout partner said he has not seen me that strong in a while. I wasn’t sure how to take that. I think I had just gotten enough sleep the night before and all was right with the world. As some of you know I have been struggling with bicep tendonitis. I have done some reading on this and it seems it is usually the result of a shoulder problem. It cannot be rotator cuff because then my bench would suffer. It may be time to get it checked just to make sure nothing is wrong in that shoulder just in case. Wow it seems I have touched on all the key points today. Diet and eating right, getting plenty of sleep, working out hard, and listening to your body are all things I have stated are essential to staying fit and healthy. Funny how this blog evolves, when I first sat down I didn’t know what I was going to say. On another note remember I do have a Questions and Answers page and I would really like to hear from you. Sometimes your questions become topics for the blog. Also please visit my pages where you can order items from Amazon, they are Supplements, Equipment and Atkins Products. I even have a page where some friends have emailed me and asked me to put links to items they would like to purchase called Additional Products. Well, enough self-promoting for a little while now go workout! Good morning. First let’s thank Brian for a great post this weekend. I have to agree with him on form. It is more important to do it right and avoid getting hurt, then trying to attempt more weight than we are ready for. This is why I continue to work on my form. I also find that as my form gets better, I am able to push or pull more weight. By improving your form, you can actually increase your performance without being stronger. Today it is back to the grind, and that means work and working out to achieve my goals. I will continue to try to ignore my imaginary boundaries. Last night as I was working on my bench press, I tried to press 315. As I lifted the weight off the rack I made sure to keep my form tight, which included taking in a deep breath and holding it to start the press. As I hit my sticking point, I continued to press and locked out the weight. As I posted last night, I do not reccommend lifting without a spotter. I did not have someone spotting me last night, however I did have the benefit of benching in my squat rack. When my chest is not full of a deep breath and I do not arch my back, the bar can rest on the rails without it touching my chest. The rack behaves as a spotter. The down side to not having a human spotter is you have to take my word for it. Time to put the camera in place again. This Wednesday I will record my squats at Albany Strength so I can view them afterwards. It really is important when working out to have someone you can speak to about form. I often have to workout in the evening by myself. When I do this I sometimes record the lift and have one of my powerlifting friends critique my form. Let me tell you some of these guys can be brutal and I am glad they are. Since I first started going to the gym, I noticed how horrible some people’s forms would be when they perform an exercise. I’ve seen people get hurt and I’ve also seen in time people get injured due to repetitive use of bad form. It’s not about how much weight you do; it’s about how you do it. Make sure you are concentrating on using proper form otherwise it could come back and bite you. I know you just heard it from Brian, However I feel that this is an important topic to the forefront of our mind. Happy Independence Day everyone. Today my son and daughter participated in our town parade. They both had 2 opportunities to walk in the parade. My son chose boy scouts and my daughter chose her softball team. They both had a great time and I got a 2 mile run in going back and forth from the front to the back of the parade. I was one proud dad. My son was part of the opening ceremony for the town 4th of July celebration. He held one of the flags while the Town Supervisor and how Congressman spoke. I was able to stay on my food plan and I am sure all of you have done just as well this weekend. It was great to get out and run today and I really enjoyed the sun on my face. I hope to get benching in tonight and get my squats in on Wednesday. Planning my weekend's food was a huge help to me. Believe me when I tell you that there was way too much food off my plan that just looked too good. One of the ways I kept on plan was to make sure I drank plenty of water. Let me know how you all did. Drink plenty of water. If you are keeping your body properly hydrated you will find you are actually hungry less. Many times our bodies will fool us into thinking we are hungry when we are actually slightly dehydrated. So hydrate my friends. Update: Warmed up the muscles tonight and went for 315. Got it up solid with no spotter. 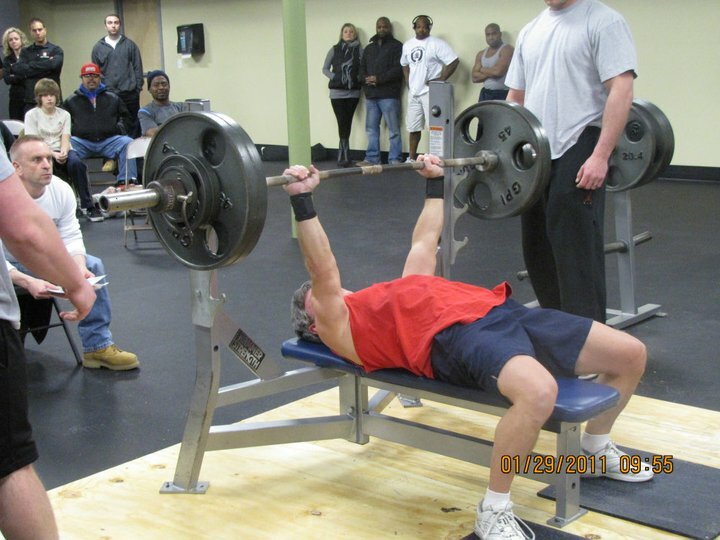 Now I do not condone lifing without a spotter, but my bench has a saftey rail and if I let the air out of my chest it rest on the rail and not my body. It felt great. This weekend I am going to go over the topic of lifting with proper form. I could write pages and pages about correct form going into detail for many different exercises so I will glance over this topic. To be brutally honest, I am a form snob. In my opinion, if an exercise is not done properly, it does not count. Before I get to specific examples/reasons, I will mention that the internet is a double-edged sword when it comes to lifting technique. There are a lot of good resources out there and a lot of hideous ones. Your best bet if you have questions is to ask someone at a gym who is more experienced. This may include any personal trainers/floor staff, or also a more experienced lifter. Some of the best people to ask are people who compete in powerlifting/weightlifting. One reason is that to excel in these sports, one must perform the lifts correctly. Otherwise your efficiency, and thus the amount of weight lifted, will be reduced. Also in competition, if improper technique is used, the lift may be disqualified. Unfortunately just asking the strongest person in the gym does not always work, because they might not have the proper technique. Some people simply cannot take the blow to their ego and perform an exercise properly with less weight. One thing to consider before asking someone for advice is to watch their form. Here are two things to consider before the lifter reaches fatigue. Is every rep performed in a controlled manner? Does every rep look the same? If these two characteristics are met, there is a good chance the person has put in a good amount of effort in practicing proper form. One last thing to consider before asking someone for advice, is if the person need to employ muscles that are not meant to be targeted in the exercise. I will touch more on this later. Proper form is imperative since some exercises are more likely to result in injury if performed improperly. I have been told many times by people with no training background that squatting deep and deadlifts in general are dangerous. My reply is always, “If you don’t know how to do them correctly”. The first time I showed a video of myself deadlifting to my brother he freaked, saying, “You’re lifting with your back!” What he failed to realize is that I was using my entire posterior chain with most of the power coming from my glutes and my legs. In addition he was unaware of the immense amount of time I have spent strengthening my back, so what to him is a heavy weight, is an easy warm up to me. Well I’m rambling, but my point is that if you don’t know what you are doing, yes you are more likely to hurt yourself. Proper form reduces the risk of injury. A second reason that proper form is important is that without using correct technique, you may be cheating the muscles that you meant to target. First keep in mind that once you begin to reach fatigue during a set, you form will begin to suffer. If the last rep of a long set is not pretty, that is okay. That could be a good cue to stop the set. What I am talking about is when someone picks a weight that is too heavy and has to perform cheat reps for nearly every rep. One example that comes to mind is when people curl. When done properly, you should not swing your upper body to produce momentum. This is sometimes used as a method of handling heavy weights and nervous system training, employed by advanced lifters, but for the general population is unnecessary. For the average person, swinging your body to help get the weight up, takes the effort away from the biceps, which is the body part you wanted to train. Another example of improper form is when people stop their squats way too high. Now I am aware that there are quarter squats and third squats, where you plan on only going to a certain depth. Those exercises have their place, but again, they are mostly for experiences athletes. For example, a quarter squat is the beginning of a push press and the jerk motion of a clean and jerk. This big problem comes from people who are performing quarter squats when they think it is a full squat. Typically this again comes down to ego. When performing shallow (not full) squats, much more weight can be handled. Just last month, there was a kid at the gym I go to who loaded the bar to 185 lbs, thinking it would be easy. He had set the safety pins of the squat rack, way up high so that he could only go down a few inches. At first I gave him the benefit of the doubt thinking he was doing quarter squats on purpose. With that weight, a healthy college aged male should be able to quarter squat with good speed. Unfortunately, each rep was terrible and cringe inducing. He was wobbling around like a top and his knees were collapsing inward each rep. The first two sets ended with him not being able to move the bar off of the safety pins. Each time he had to strip the weight and replace the bar on the catches and replace the plates. After the second failed set, I approached him and asked if he wanted some advice. I mentioned that he should keep his knees out, and asked why he had the safety pins set so high. His answer was that if he went too low, he couldn’t get back up. I had to bite my tongue. Of course, that is the hardest part of the lift. Instead of working the full range of motion and getting stronger, he was merely trying to avoid the effort. The result was utter weakness. I asked him to perform a bodyweight squat with no weight on his back, going all the way down. He had trouble doing this much lighter variation. I spent a few moments trying to give him some pointers and he eventually admitted he should use lighter weight to work on the form. Finally it got through to him that if he wanted to make any progress, he would need to learn how to squat properly or his strength would continue to suffer. Again I am rambling. The moral of this story is to learn how to exercise correctly, or you will limit your strength gains. While there is a time and place for cheat reps and partial range of motion exercises (I will go into these in the future), muscles are meant to be worked through a full range of motion. That is when the muscle will reach its fullest potential for growth. Try this if you think you may not be squatting deep enough. Use less weight and go down below parallel. Remember the lower you go the harder it will be, so keep the weight easy to moderate but the reps relatively high. 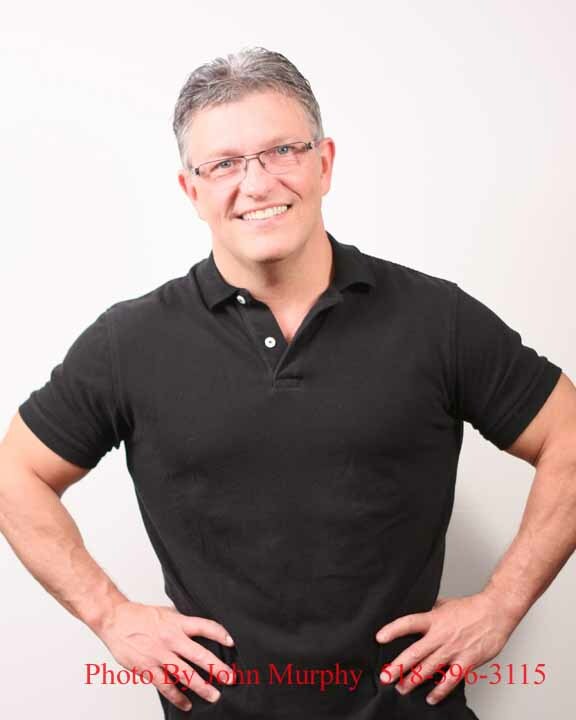 If in the next day or two you feel a lot more soreness, Jim has mentioned Delayed Onset Muscle Soreness (DOMS), there is a chance that you have finally fully activated the muscle fibers in your legs and glutes. Well it is the first of July and the Independence Day weekend is about to start. Those who are dieting to lose body fat may look at this weekend as a challenge. It does not have to be. Yeah there will be all those foods you know you need to stay away from; however, you can always bring a dish that you know is on your diet plan. We also all know there will be a vegetable platter someplace on that table as well. Personally I go for the broccoli, cauliflower, and a few tomatoes. These are very healthy nutrient rich vegetables. I often listen to people say they cannot stay on their diet when they are at a celebration. I want to encourage you to stop thinking that way. You can do it and when someone tries to encourage you to eat something not on your plan, ask why do they want you to fail. Put the ownership on them at that point. They may say oh it won’t hurt you to go off plan this one time, you know you have to enjoy life. Let them know that is right you want to enjoy life, a long happy healthy life. I have never discouraged anyone attending a gathering I was at not to eat what they want and never asked anyone to change their menu to accommodate me. There usually is some type of food I can eat that is on plan. We all have our challenges that seem to derail positive changes in our lives. How we attack these challenges are what define us. If you are a regular reader of my blog, you know by now I feel we are all in this together. Changes do not come easy and no one said changing your eating habits for life was going to be easy, but you can do it. Make the healthy choices this weekend and email me on how you did. On another topic, feel free to send me questions on my Questions and Answers page. I will be happy to answer your questions and maybe it will give me ideas for one of my blogs. When bringing a healthy dish, whether it is a main entrée, side dish or a dessert, make it something the rest of the party will enjoy as well. Maybe you will get others to start changes in their lives. If you need ideas please check the links of some of my friends blogs. They have some great recipes.